The Patented Metric Speed Square 25cm Square is five tools in one! It's a Try Square Miter Square Protractor Line Scriber and a Saw Guide. It also features two separate scales so you can work in either metric or degrees for common and hip valley rafter layouts. 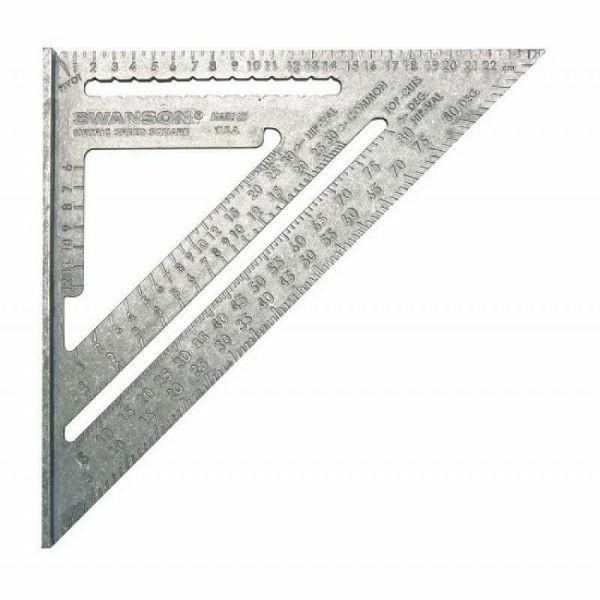 The Patented Metric Speed Square 25cm Square is five tools in one! It's a Try Square Miter Square Protractor Line Scriber and a Saw Guide. It also features two separate scales so you can work in either metric or degrees for common and hip valley rafter layouts. Just like the Speed? Square it's made of high-grade aluminium alloy.